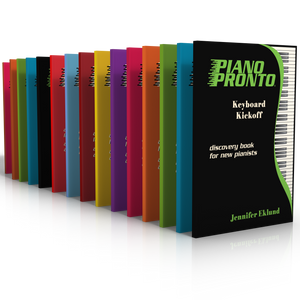 Teacher Duet Parts combo pack includes all of the teacher duet parts to accompany all the songs in Piano Pronto Keyboard Kickoff, Prelude, Movement 1, Movement 2, and Movement 3. 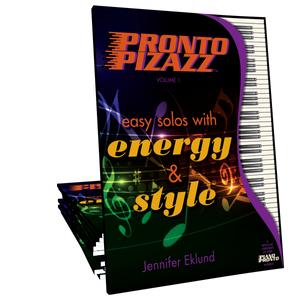 I absolutely love duets, and ever since starting to use Piano Pronto several years ago, my students love them too! This multi-pack of the teacher duet accompaniments is fantastic and will completely revolutionize your studio! I have seen skills improve, both in my students & myself - sight reading, playing under pressure, rhythm, ease in adapting to other’s mistakes, and companionship... because playing music together is so much more fun than playing alone. Parents who know how to read the music in these books love to have their own editions, which enables families to enjoy the duets too! Don’t hesitate! These are great! These teacher duets are fantastic! Even the simplest method book pieces sound appealing when paired with complete duets and not just a simple accompaniment so often found in other methods. I like to send quick recordings to parents; they are always impressed with how well their students sound. What I love most about the duets is that they encourage student listening. The teacher introductions easily lead the student into knowing when to start. Each duet engages the ear and helps students internalize the beat, leading to both fun and success. Highly recommend! 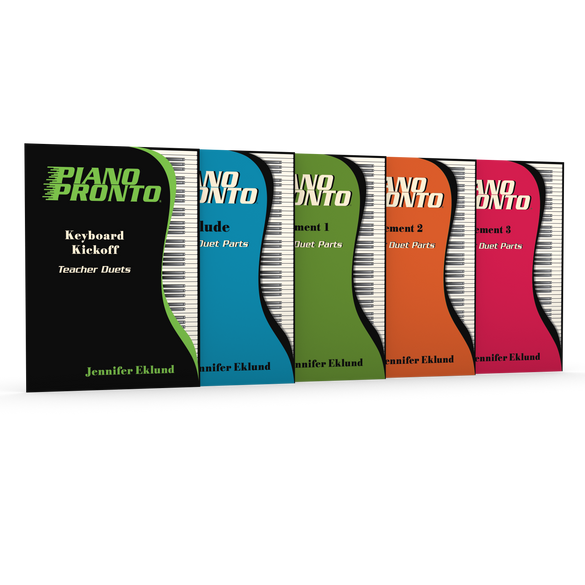 These duets are a must-have for any Piano Pronto teacher. Don’t get me wrong – the method books are great on their own, but the teacher duets really take things to the next level. They are not your typical run-of-the-mill arrangements. The harmonies and rhythms are fantastic: they’re fresh, modern, and really fun to play. Say goodbye to your typical I-IV-V duets! Thank you, Jennifer, for writing such beautiful duets!